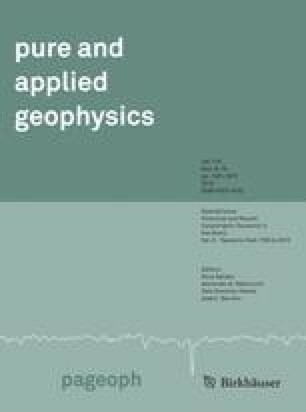 A seismic waveform inversion algorithm is proposed for the estimation of elastic soil properties using low amplitude, downhole array recordings. Based on a global optimization scheme in the wavelet domain, complemented by a local least-square's fit operator in the frequency domain, the hybrid scheme can efficiently identify the optimal solution vicinity in the stochastic search space, whereas the best-fit model detection is substantially accelerated through the local deterministic inversion. Results presented for selected aftershocks of the M w 7.0 Sanriku-Minami earthquake in Japan, recorded by the Kik-Net Strong Motion Network, illustrate robustness of the impedance structure estimation. By contrast, the attenuation structure is shown to be sensitive to the frequency content of seismic input data, attributed to the deterministic description of the continuum in the forward model that cannot simulate late arrivals of multiple-scattered energy. Sensitivity analyses illustrate that for the same forward model, results can be substantially different based on the definition of the objective function. It is concluded that even for engineering purposes, inversion should aim to decouple intrinsic and scattering attenuation mechanisms.